This post has been sponsored by Newell Brands. All pool party games & opinions are my own. You guys... It is pool party season and I couldn't be more excited. From lounging with the kids deck side, to jumping in and playing all the fun pool party games - this time of year cannot be beat. We love hosting pool parties - both the big ones by a pool and the more family focused ones with a blow up in the backyard. Either way we do it these pool games are sure to be a hit. Making sure we have the right supplies for our pool party games and keeping everyone going during our day at the pool is always important. 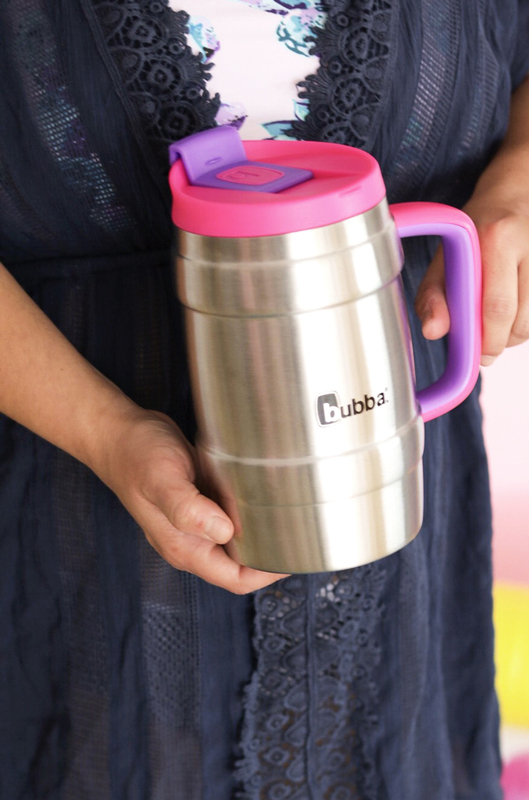 I'm choosing bubba® Stainless Steel Kegs from Walmart to be my poolside companion drink choice this season. The vibrant assortment of colors as perfect for a fun summer occasion and the size allows us to continue a day uninterrupted by refilling beverage and gives me the benefit of staying hydrated for extended periods of time. It also helps that beverages keep nice in cool for up to 24 hours so I don’t have to worry about the hot sun heating up my beverage, too! See what combinations or liquids taste the best together. Grab some fresh fruit and let the creative “juices” really come to life! 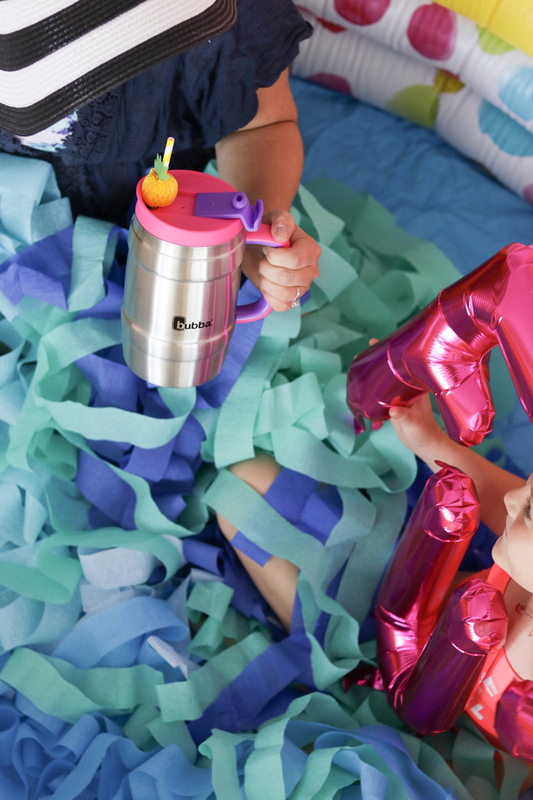 Make up fun concoctions that the whole family will enjoy and see who can guess what is in which bubba keg? Which fruit is the key flavor in each bubba Keg? The one who guesses closest wins that keg! 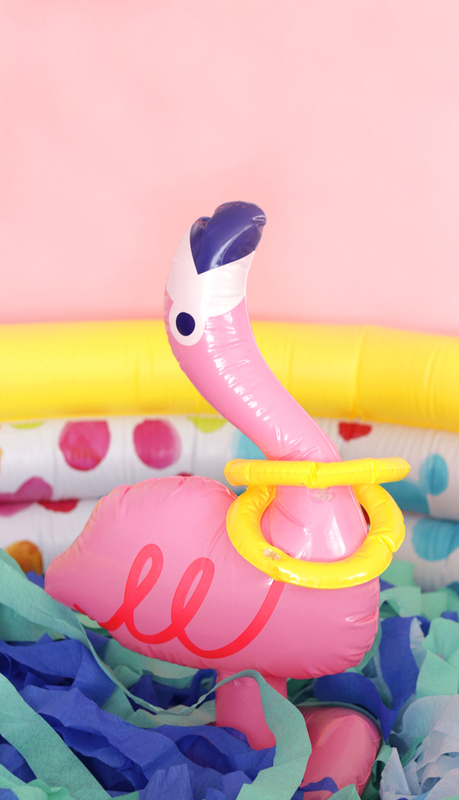 Wether it's a flamingo head or a pool, tossing inflatables to win is always a great game to play. To play this game, float 5-6 frisbees upside down in the pool with numbers written on them 5, 10, 15 points. Take turns tossing the sponge into the pool and trying to land it on the frisbees of choice to rack up the most points. Get a number of cups and pass the water over your head to hand it to the next person behind you. This is a fun pool deck game to play before heading into the water. Or try it in the pool, it is about 8 times harder and much more hilarious while swimming. This is a favorite game to play with kids or adults. Best to play at dusk or in the dark. Snap all the glow sticks and throw in the pool. Then try to grab each one without making the others move. It's harder than you'd think! 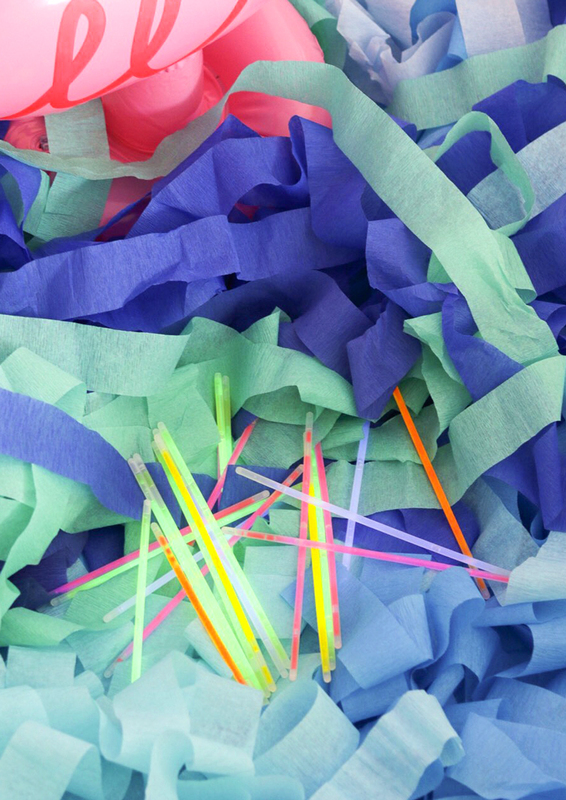 A pick up sticks battle that inevitably gets a little rowdy as you play. Find an odd collection of things poolside to toss in and "hide" and whoever finds the most wins the hunt that day. Collect and cut a pool boodle so each swimmer has a 3 inch section. Attach a fabric sail onto each with a toothpick. Place the boats at one side of the pool and see who can get to the other end quickest. The only rule is you cannot touch the ships, so kicking, making waves and blowing are all allowed. See who's ship wins the race. Blow up a beach ball and write a number of different questions around the ball in waterproof ink. Toss the ball around the pool and whoever catches it must answer a question on the ball. It's a fun game to get older kids into the mix and is great for learning new facts about your favorite kids while keeping cool. Getting all the pool party games supplies we need including the bubba kegs from Walmart was easy. I love that I can grab everything from kids toys to great cocktail mixings to streamers all in one stop. Pick up a racket ball set and hit the pool, it's a game that for whatever reason is made 25 times better by just being in the water! 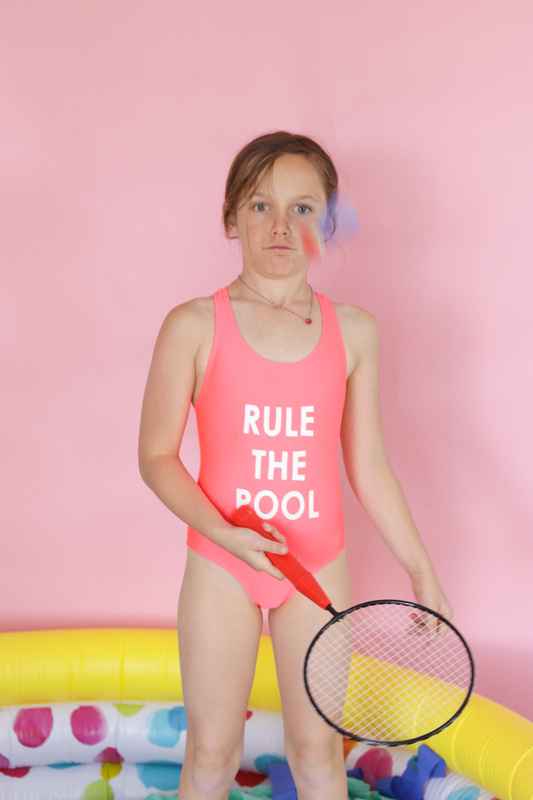 You guys, we made this pool party game last summer and it was so fun! Grab about 10 pool noodles and cut them into about foot long sections each. Stack them like you would a jenga game on top of the water and try to play. It was a hoot. Take a beloved land game and make it one of your new favorite pool party games! Tug of war, but swimming. This game is great for a large group and gets everyone involved. 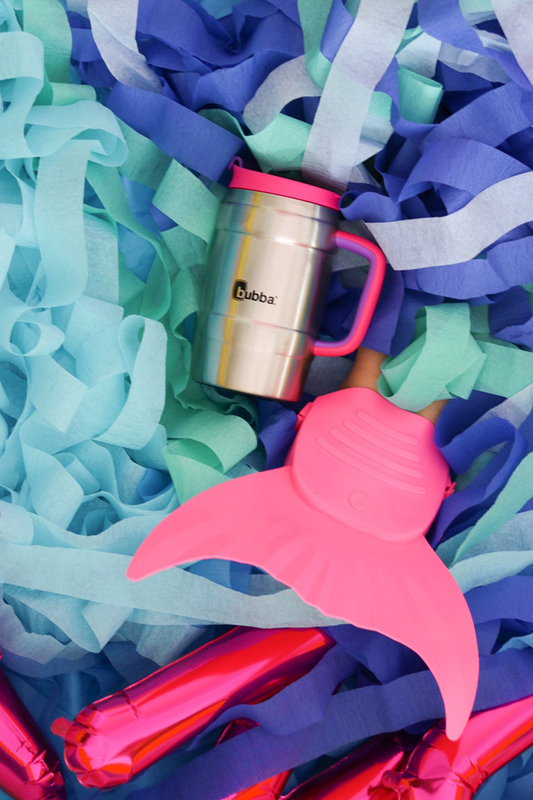 Adorn the mermaid tails that are so popular this season and get ready to dive in. See who can swim the farthest, the fastest or stay under water the longest to see who gets the best mermaid of the day! 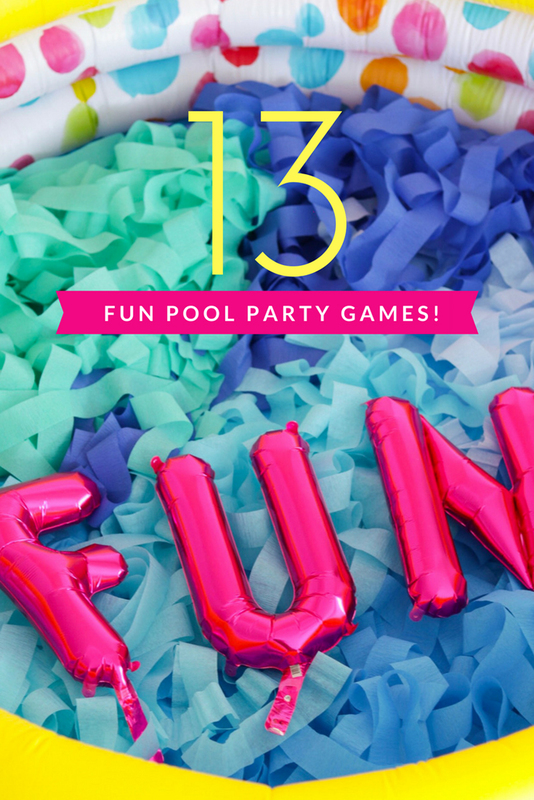 Make pool days more fun with cold drinks that last through all 15 pool party games! Pool season can be just as fun for mom as it is for kids with the right drinks at the right tempature. 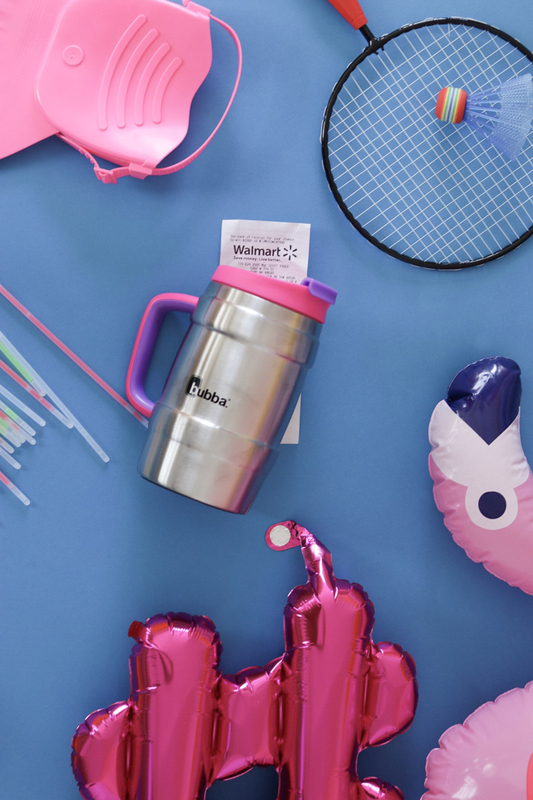 Head to Walmart today to pick up all your pool party games supplies and the drink supplies that will make this summer one to remember. PS. Looking for recipes to fill that bubba with? Try our pretty Paloma cocktail, punch recipes that will please the entire crowd or watermelon soda, which is always a hit!